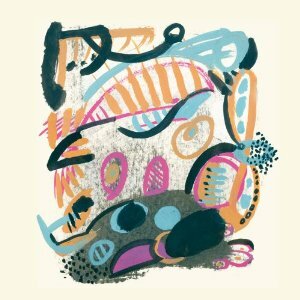 The Baltimore-based trio Future Islands have released their third full-length album On The Water and let me tell you, this is probably one of the best albums I have listened to obsessively to date! On The Water is a fantastic example of sound progression. It differs sonically on many levels, yet still holds on to its integrity. Fans are instantly met with the serene sounds of the ocean shore and wooden wind chimes. The natural soundscapes that riddle the intros are very subtle and take the listener on a soothing journey in rough waters. On The Water is expressive and spellbinding. This is the album that will dig deep into your heart and make your skin crawl with delight. This is the album that inspires joy and heartache all while you dance uncontrollably to songs like “On The Water,” “Before The Bridge,” and “Balance,” which blends profound, rough melodies with romantic, synth-pop grooves, offering a bold Future Islands album that fans can respect and that I happen to adore.